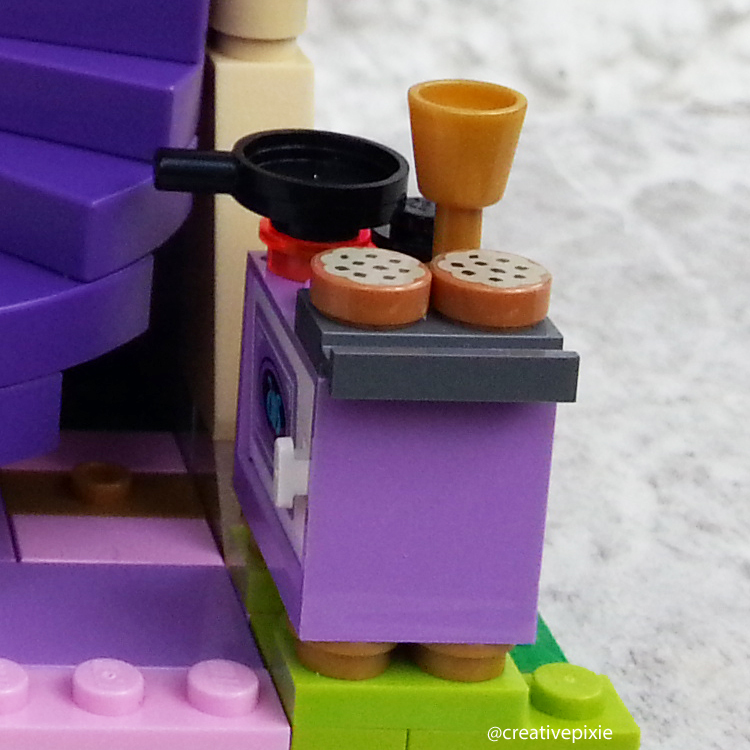 This weekend saw some really bad weather in the UK so on a rainy Sunday Miss P made up one of the Lego kits she got for her recent birthday. 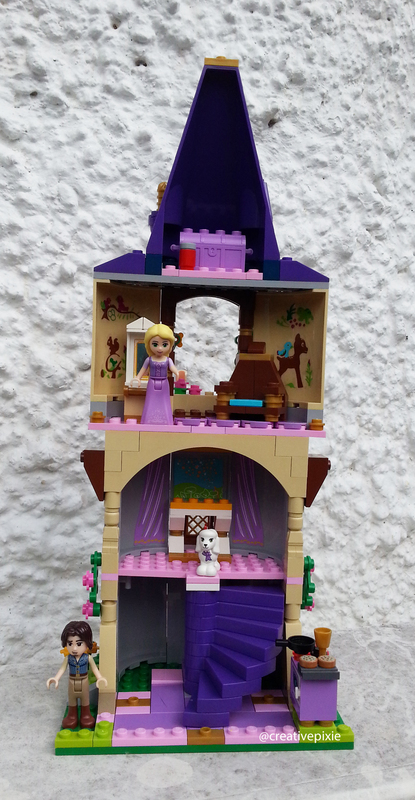 She just loves building Lego kits and one of her favourite films is Tangled so we bought her Rapunzel’s Creativity Tower. After a some help from her assistant (Mr Pixie) she had all the stickers stuck on the relevant blocks and and after following the booklet she finally finished the tower. The outside view – it’s bigger than we thought it was going to be. The inside view – just love the staircase. Flynn Rider is outside waiting to go in. The frying pan is at the ready! Rapunzel is waiting at the top of the tower. Don’t think the dog was part of the set – that’s an addition from Miss P! 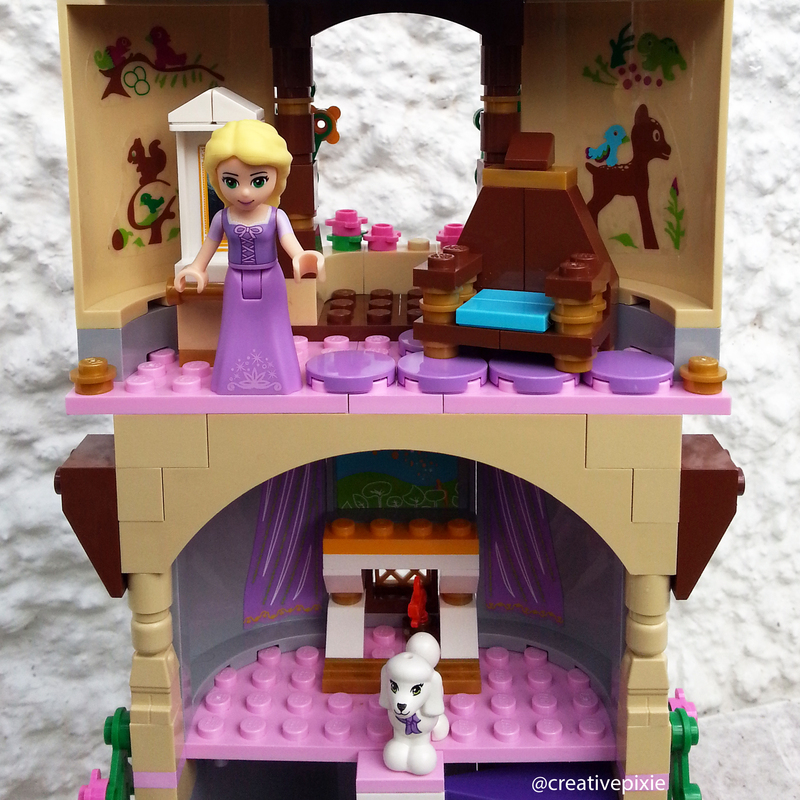 We were really impressed by this Lego kit, even though it was quite expensive (Lego kits aren’t cheap) it was different enough from anything she has worked with before (she’s a fan of the Lego Friends kits). I’d recommend this kit for any fan of Tangled, we may even ‘Kragle’ it (Lego Movie reference). Tangled is a really great film. And that frying pan! Yes it did take a lot of concentration for her, by the end she was glad to get it done. Has your Grandson been designing anymore Lego designs? Oh yeah they’re awful if you stand in them in your bare feet. Love Tangled .. the chameleon is the best hehe! LOVE it!!! 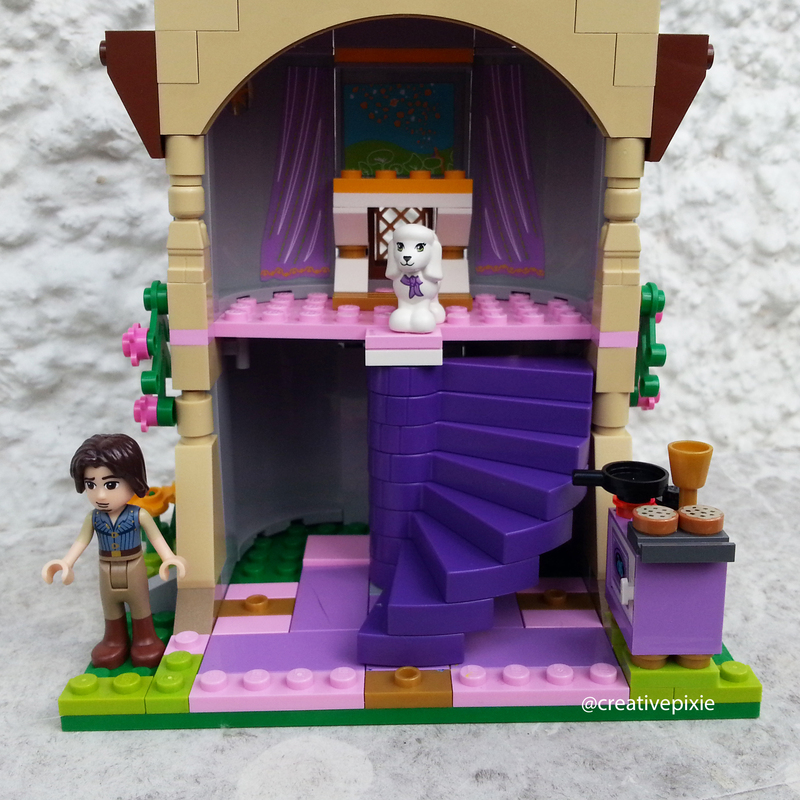 Great combo – Rapunzel and Lego!! WIN WIN! !